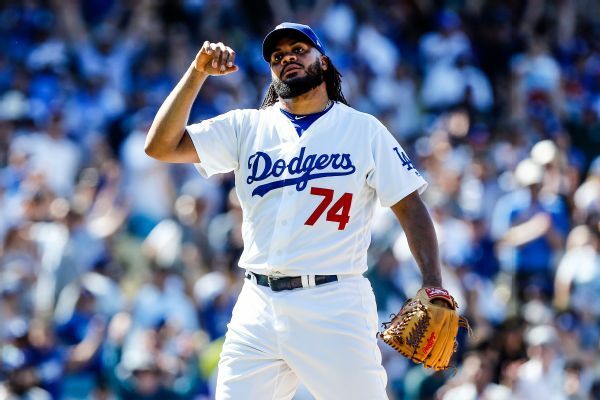 Dodgers closer Kenley Jansen will be with the team for Friday's road game against the Rockies after experiencing an irregular heartbeat at Colorado in August. 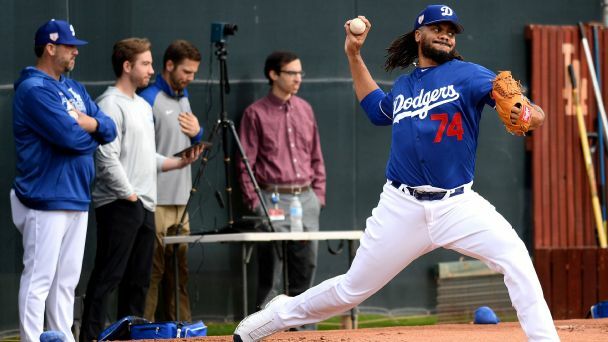 Dodgers closer Kenley Jansen pitched his first Cactus League inning on Sunday, retiring the Texas Rangers on 12 pitches. 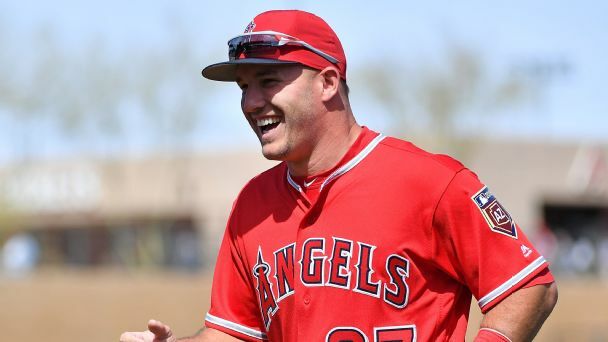 His fastball topped out at 92 mph, about 3 mph slower than his usual high. 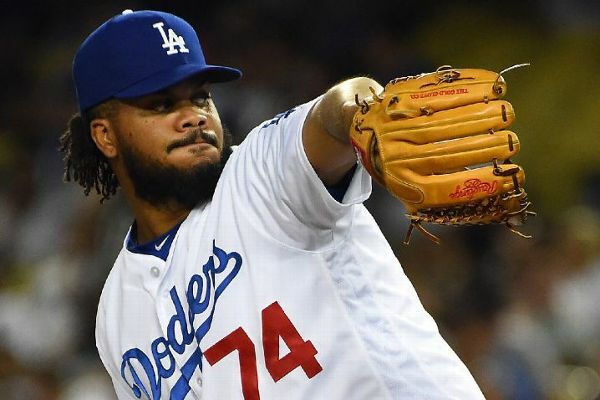 The Dodgers' closer is aiming to get more movement on his cutter in an attempt to rebound from an erratic 2018. 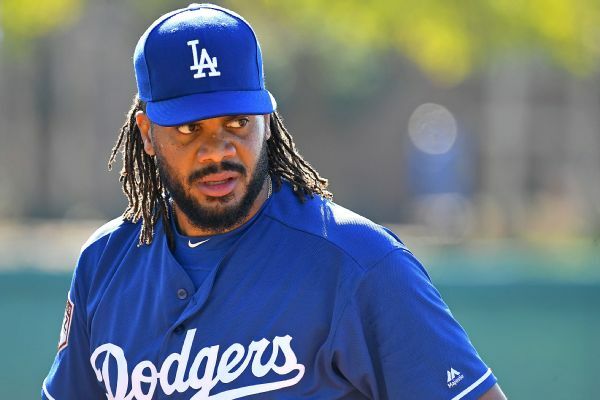 Kenley Jansen, who had a 5 1/2-hour heart procedure on Monday, said everything is "back to normal" and that he'll need to be on blood thinners for the next two months. 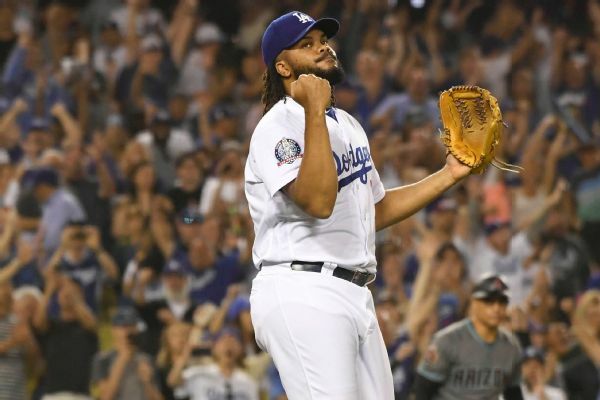 Kenley Jansen, the Los Angeles Dodgers' All-Star closer, completed heart surgery on Monday and posted a short, sanguine video from a hospital bed saying he is "doing good." 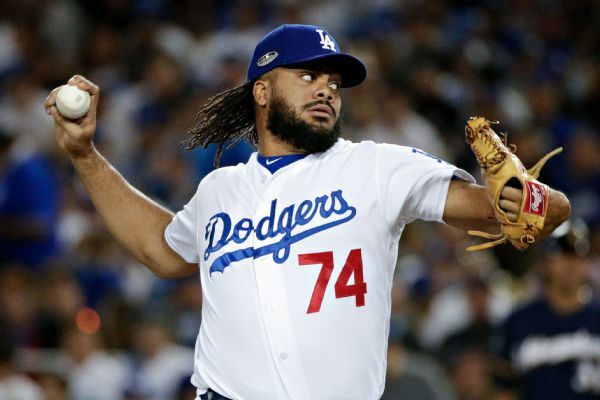 Dodgers closer Kenley Jansen is expected to be ready for spring training after surgery to correct his irregular heartbeat. The surgery, which had been expected, has been scheduled for Nov. 26, with recovery time anywhere from two weeks to eight weeks. 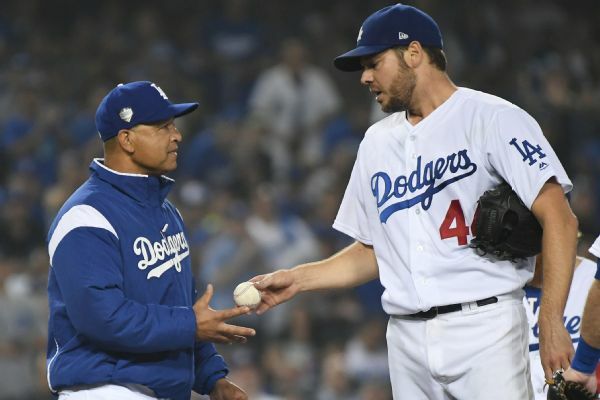 Dodgers manager Dave Roberts made a questionable decision to remove starter Rich Hill in the seventh inning of Saturday night's Game 4, but he explained that Hill had expressed concern that he might not be able to hold up much longer. 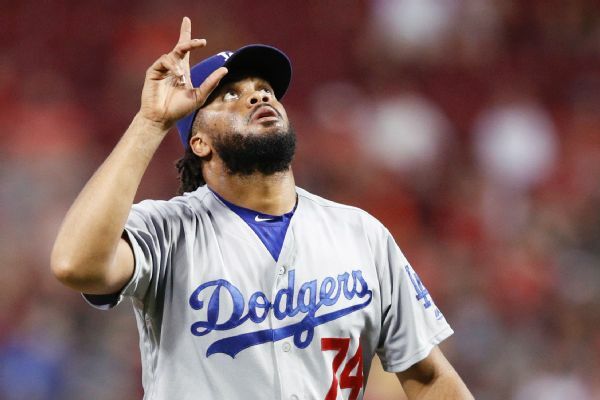 Max Muncy was the hero, leading off the bottom of the 18th and smacking a home run to get the Dodgers a 3-2 victory over the Red Sox that possibly saved their season. 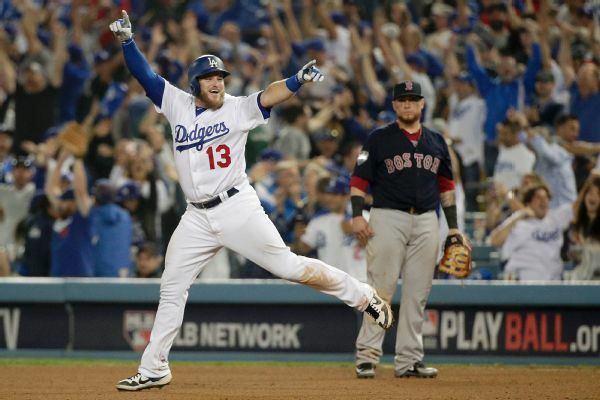 It was the longest game in World Series history.